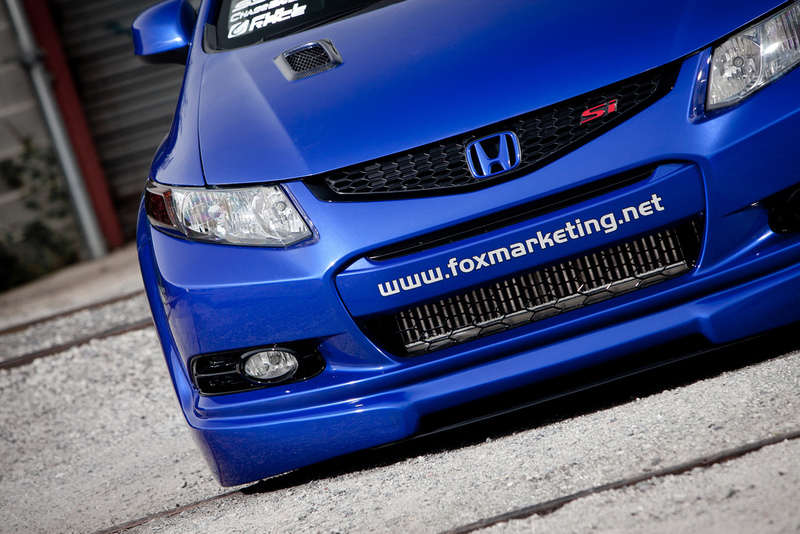 Fox Marketing 2012 Civic Si – MoMoHitsTheSpot! Apparently, Fox Marketing got their hands on a 9th gen Civic, and did some serious work within a months time. And the result? A stanced-out, widebody, turbocharged beast you see here. The car will make its first official debut at this years SEMA event, so be sure to check it out if you’ll be attending.